You can spend all the time you want writing a plan to build your brand, and you can create marketing materials and advertisements that reflect your branding goals too. But if you don’t train your employees to be ambassadors for your brand, it’ll all be for nothing. See, your brand is more than a tagline. It’s more than a logo. Your brand extends from the products you sell all the way to the way your employees interact with customers. Employees project an image to your customers. They do so through their attitudes, the things they say, and the actions they take. If their actions don’t reflect the image you’ve created for your brand, it can alter the way customers see your company. In short, it can create a different brand than the one you envisioned. So, the question becomes: How do you teach employees to be brand ambassadors? Here are some guidelines to follow. Hire qualified employees that believe in brand values – If your employees don’t buy into the core values of your brand and the products you sell, how can you expect them to be effective brand ambassadors? Every employee has an effect on your brand – positive or negative. This includes even the employees who don’t actually interact with customers. Every employee needs to be contributing positively to your brand through their performance. Hiring qualified employees who truly believe in your brand is the best way to ensure employees are lifting your brand up, rather than dragging it down. Treat your employees right – Your employees are your most valuable asset. If they become disgruntled, their productivity will drop and the customer experience will worsen. This isn’t to say you need to coddle your employees, but you do need to make sure you’re doing the right things to create a workplace employees enjoy coming to. Check out these tips for keeping your employees happy. Make sure employees understand their roles – Earlier, I mentioned that every employee has an effect on your brand. One of the keys to ensuring an employee has a positive effect on your brand is to make sure he (or she) fully understands what his role is in building the brand. 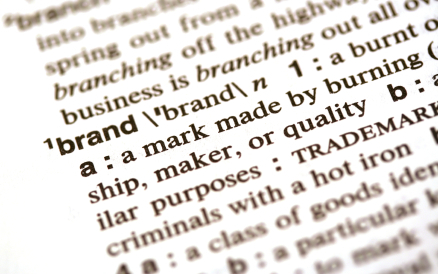 Employees need to understand the purpose of your branding objectives. They need to realize how their job performance impacts these branding initiatives and what they can do to help build the brand you desire. Teach your employees how to create memorable customer experiences, even if they aren’t the one interacting with the customer (their work still plays a role in the customer experience). Are your employees brand ambassadors? Are they creating a great customer experience? What steps have you taken to make sure your employees are building your brand, not tearing it down?